Journal of Industrial Engineering and Management is an open access scientific journal that publishes theoretical and empirical peer-reviewed articles, which contribute to advance the understanding of phenomena related with all aspects of industrial engineering and industrial management. JIEM includes contributions, but not limited to, in the following fields: Production Planning/Scheduling/Inventory, Logistics/Supply Chain, Quality Management, Operations Management and Operational Research. 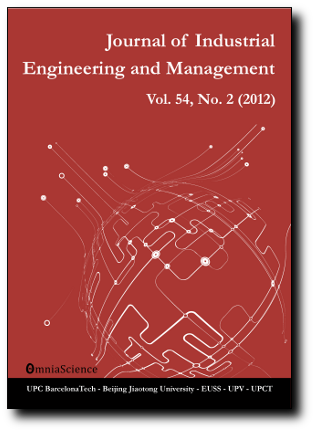 Printed edition of Journal of Industrial Engineering and Management Vol 12, No.1 on Lulu.